For the record, I would like to state that I'm really bored of these outsized erections popping up all over the Arabian Peninsula. This one is going up in the Dubai Marina. 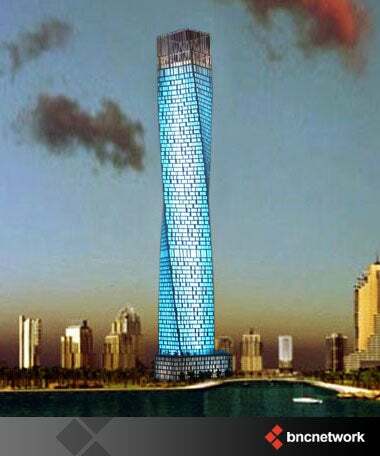 It's called the Infinity Tower (because that is how long it seems that we have been covering these giant penile substitutes that are currently littering the Middle East) and its USP is that it twists 90º. This is the blurb on the 1,000-foot, 80-story, twisted monstrosity. Imagine a tower whose unique spiralling design reflects the boundless energies and ever-changing shapes of the deserts, winds and seas that surround it. Goojje Search Engine, Launches in China, Claims It&apos;s Google&apos;s "Sister"